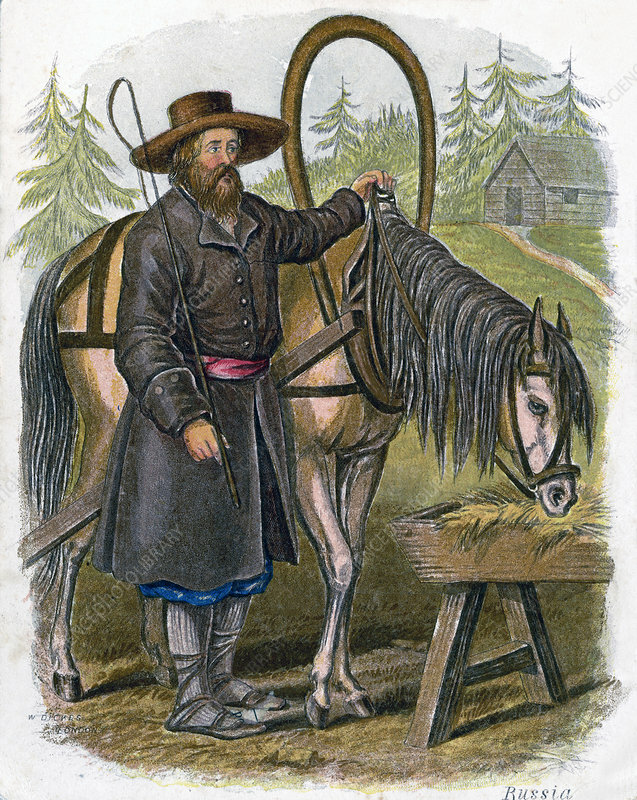 Russian Peasant', 1809. The everyday dress of the men is a blouse and canvas trousers with an all over coarse, brown, long skirted coat or kaftan. Artist: W Dickes.